Over the years, I have worked with a number of children and adults who had autism and I have noticed what seems to be a much larger number of children being diagnosed with autism in recent years. For these reasons, I was interested in reading Robert W. Sear’s book, The Autism Book: What Every Parent Needs to Know about Early Detection, Treatment, Recovery and Prevention. 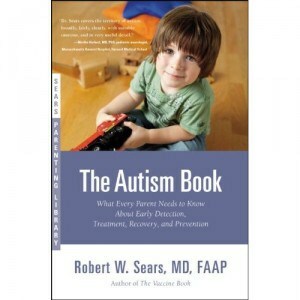 Sears, a board-certified pediatrician, has written a number of other books about the growth and care of children and I thought he could provide a strong knowledge base on the subject. The book addresses many different aspects related to autism in children. He talks about the things that parents can do to decrease their child’s risk of having autism, the benefits of early diagnosis if a child does have autism, the causes of autism and how they can be treated. What makes this book unique, however, is the “bio-medical intervention” approach that Sears promotes in this book. He suggests that there are number of different pharmaceutical and nutritional changes that can minimize or (according to the doctor) even cure autism. Some are riskier than others which are considerably more controversial. Overall, I found this book interesting to read. I found it easy to read and understand and I appreciated the list of resources (online and in print) at the back of the book for anyone who is interested in learning more. Whether Sears’ approach has validity I do not know. I would be interested in learning what a parent of a child with autism thinks about this book because I think they could offer more insight into Sears’ approach. I think it is an interesting book for anyone who wants to read about the “bio-medical” approach to treating children with autism. I have a child with autism. Although I knew about most of biological treatments in the book, it was still an interesting read. I thought it be hard to read with a lot of medical words, but it wasn’t. My son has greatly befitted from the GF/CF diet.